2012 was the year of history, romance and art. Many interesting movies made it to daylight and many more projects were set in motion during the period. A number of movies cashed in the box office and managed to capture the hearts of the public like never before while a few more made their mark in global cinema. Come 2013 and local movie buffs are eagerly waiting to see what Sinhala cinema has in store for them. Many new productions, some which have been in the backburner for a considerable length, will be taking to the screen. Here is a glimpse of what to expect on the reel this year. The movie has been one of the most talked about films of recent times and comprises a cast of Sri Lankan and Indian actors and actresses. Indian actor Gagan Malik portrays the lead role while the cast includes Sri Lankan actors and actresses like Ranjan Ramanayake, Roshan Ranawana, Saranga Dissasekara, Buddhadasa Withanachchi, Douglas Ranasinghe, Oshadi Hewamadduma, Wilson Gunaratne, Dushyantha Weeraman, Dilhani Perera and many others. Sri Siddhartha Gautama tells the tale of Prince Siddhartha from birth to enlightenment. It hopes to take the message of humanity to the world through a series of images unfurling on the reel. Sri Siddhartha Gautama is produced by The Light of Asia Foundation Chairman Navin Guneratne and prominent hotelier and former consul general of Sri Lanka to Los Angeles, Venezuela and Colombia, Jeff Goonewardena. The team of consultants to the production of the film includes Ven Prof Bellanwila Wimalaratana Thera, Kalashuri Edwin Ariyadasa, Chandran Rutnam and Prof Nimal de Silva. It is directed by Saman Weeraman. Seasoned director Jayantha Chandrasiri is back this year with his latest movie which is based in the early 19the century. The movie focuses on a relationship between a young musician and an elderly woman. Uddika Premaratne and Yashodha Wimaladharma portray the lead roles. The rest of the cast includes Roger Seneviratne, Buddhadasa Withanachchi, Wilson Gunaratne, Pubudu Chathuranga, Damitha Abeyratne, Roshan Pilapitiya, Chathurika Peries, Dimuthu Chinthaka, Rebecca Nirmalee and others. Samanala Sandhawaniya (The Butterfly Symphony) is produced by Ruwan Jayasinghe and Palitha Gunawardena on behalf of Roo Cinema. Anuruddha Jayasinghe’s latest cinematic production Bomba Saha Rosa (Bombs and Roses) too is set to hit the screens in 2013. The movie comprises a huge cast and is the first movie to bring popular actor Vishwanath Kodikara to the wide screen. The concept of Bomba Saha Rosa differs from Anuruddha’s previous productions Sankranthi and Dawala Doowili. It centers on a series of incidents which takes place after a bomb blast and examines how different individuals in the society reacts to the occurrences. Mahendra Perera, Upeksha Swarnamali, Bimal Jayakody, Shriyani Amarasena, Jayani Senanayake, Somasiri Alakolanga and Sarath Kothalawala are some of the popular names attached to the project. Bomba Saha Rosa is produced by Eric Makawita and Lucky Imran. Somy Ratnayake is back on the wide screen after a long span with Jayanath Gunawardena’s maiden movie Parawarthanaya (Reflection). Sirasa Supar Star vocalist Amila Nadeeshani too is introduced to cinema through the movie which stars Pubudu Chathuranga, Dulani Anuradha, Geetha Kanthi Jayakody, Bimal Jayakody, Nalin Pradeep Uduwela, Moreen Charuni, Sarath Kothalawala, Sanjaya Leelaratne and others. The movie is produced by Mohamed Mujahi and C R Dias and Gunawardena. Renowned theatre figure Hector Kumarasiri had stepped into cinema with his debut movie Abhinikmana. The movie rotates around a story of a Buddhist monk and is the last movie that versatile actor Joe Abeywickrama had portrayed a role in. The lead role of the Buddhist monk is played by Sudharshana Bandara. Irangani Serasinghe, W Jayasiri, Mahendra Perera, Malkanthi Jayasinghe, Nimal Chandrasiri and others comprise the rest of the cast. Udayakantha Warnasuriya has always been a director who has experimented with various genres of movies. His highly successful children’s movie Ran Kevita is well loved by audience of all ages. The success of the movie motivated the team to make a sequel. Though it has been on the making for a long span, Ran Kevita 2: Gopaluge Vikrama is finally set to unfurl on screen this year. The story picks up from where its predecessor has left off. The Gopalu Yaka is rejuvenated with more special effects. 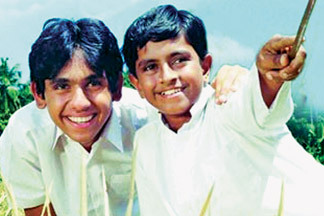 Bennett Ratnayake, Ananda Wickramage, Saman Hemaratne and many others too portray roles in Ran Kevita 2. Praveen Jayaratne, Suranga Jayasooriya, Janith Marasinghe and Udayakantha Warnasuriya make up the production team. Hot on the heels of Ran Kevita 2 follows another children’s movie Surangana Lowin Awilla (Coming From Fairyland). The movie is based on a fantasy world where prominent characters from history and fiction come to life. It is an educational as well as entertaining movie to watch and is directed by Suneth Malinga Lokuhewa. Malaka Dewapriya’s maiden feature film Bahuchithavadiya (The Undecided) narrates the saga of a multidirectional thinker in a rapidly globalizing society. It is an in-depth study of the life of youth in a world that is rapidly changing with the advancement of technology. The cast includes Kalana Gunasekara, Veena Jayakody, Lakshman Mendis, Damitha Abeyrathna, Samanalee Fonseka, Sulochana Vithanarachchi, Rajitha Hewathanthrige, Geetha Alahakoon, Prasadini Athapaththu, Nimini Buwaneka and D B Gangodathenna. Manohan Nanayakkara of the Asia Digital Entertainment Pvt. Ltd is the producer of the movie which is scripted by Malaka. The bilingual movie has been creating news by premiering at international film festivals and winning the best actress award at the 43rd International Film Festival of India in Goa last year. Directed by Prasanna Vithanage the cast comprises Shyam Fernando, Indian actress Anjali Patil, Wasantha Moragoda and Maheshwari Ratnam. A co-production between India and Sri Lanka, Lasantha Nawarathna and Mohamed Adamaly produced Oba Nathuwa Oba Ekka (With You Without You). Other movies which are due to release in the future are Sumitra Peries’ Vaishnavee, Inokaa Sathyangani’s Cinderella, Eranga Senaratne’s Athuvath Be, Nethuvath Be, Sanath Abeysekara’s Siri Daladagamanaya, Nilendra Deshapriya’s Thanha Rathi Ranga, Priyankara Vithanachchi’s Samige Kathawa, Somaratne Dissanayake’s Siri Parakum and Jayaprakash Sivagurunathan’s Ko Mark No Mark. However it has not been revealed yet whether 2013 is the year in which these productions will be released at theatres. The following movies will be coming to Majestic Cineplex in January and February. The action drama focuses on a leader of a drug cartel who busts out of a courthouse and speeds to the Mexican border, where the only thing in his path is a sheriff and his inexperienced staff. The sequel to 2008 hit Race Anil and Saif reprise their roles as Robert D'Costa and Ranveer Singh. The action packed thriller will hit theatres on January 25. 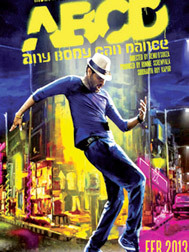 India's first high-octane dance film in 3D is all set to go on floors on February 8. ABCD also stars winners of the hit reality dancing show Dance India Dance like Salman Khan, Dharmesh, Prince, Mayuresh and Vrushali. Lauren Gottlieb, the global winner of the popular television show, So You Think You Can Dance, has been cast as the lead heroine. 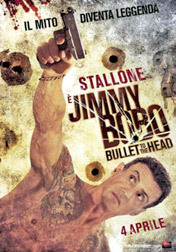 Starring: Sylvester Stallone, Sung Kang, Sarah Shahi, Adewale Akinnuoye-Agbaje, Christian Slater and Jason Momoa Based on Alexis Nolent's French graphic novel Du Plomb Dans La Tete the film revolved around a hitman who teams with a young Washington DC detective in a high-stakes investigation that leads from dingy back alleys all the way to the power corridors of New Orleans. 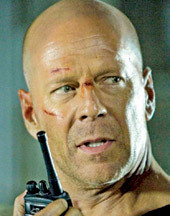 This is the fifth installment of the Die Hard film series starring Bruce Willis. When John McClane's son Jack gets into trouble while in Russia, McClane travels to Moscow to help him out, only to get caught up in a terrorist plot involving the circumstances behind his son's arrest. Bandu Samarasinghe was amongst the new breed of comedy actors emerged in the mid 1970 decade. Bandu had contributed to Sinhala cinema as an actor, director and a producer for over four decades. The premier of Bandu’s latest direction Peter ONE was shown at the National Film Corporation recently. The storyline of Peter ONE revolves around a poor singer on the roads (played by Bandu Samarasinghe) who hits the jackpot eventually. Peter makes a living by singing for masses near the railway station. He is denied of residence in the rented house by the thug-type landlord (Ranjit Silva) of his. The dejected singer roams on roads to see the local postman approaching. Peter in desperation grabs from the postman an invitation card which is being sent by a Millionaire (Lakshman Mendis) to Peter’s ‘mean landlord’. It is an invitation for a plush anniversary party. Peter the imposter attends the party disguised as a rich man and befriends with Jonty (Rodney Warnakula) the drunkard wine waiter. Peter encounters Shereen (Nilanthi Dias) the beautiful daughter of the host at the venue and falls in love with her. Shereen is approached by Brian, another handsome guy and a love trilogy unfolds on screen. The film is full of comedy and will surely be a treat for the whole family. Peter ONE is Bandu Samarasinghe’s fourth film direction. Bandu introduces his son Kumera and daughter Rasogha to Sinhala cinema with Peter ONE. “I personally feel Peter ONE includes one of my best performances,” says Bandu. “It is the most difficult and rhythmical character I played so far which is a combination of serious and comedy acting,” he adds. In the 70s decade, Bandu has acted in 17 films with Gamini Fonseka. His debut film performance was in Sadahatama Oba Mage produced by Sena Samarasinghe (first cousin of Bandu) and directed by late Milton Jayawardene. “Fonseka appreciated my talents and taught me how to progress in the sphere,” Bandu reflects. Music scores of Peter ONE are handled by Jayantha Rathnayake. It is Jayantha’s debut film music direction. Uresha Ravihari’s magical screen voice blends with Rathnayake’s music perfectly. Bandu and Kumera as male singers showcase their versatility in singing in the film. The script is written by Gayan Mahagalage, in line with a concept by Bandu. The camera is handled by Ruwan Costa. Teddy Vidyalankara has crafted exciting fight scenes in the film. Cast includes Bandu Samarasinghe, Nilanthi Dias, Kumera Samarasinghe, Rasogha Samarasinghe, Rodney Warnakula, Veena jayakody, Manel Wanaguru, Lakshman Mendis, Sarath Kulanga, Tyron Michael, Vipula Wanniarachchi, Ranjit Silva, Susil Perea and many others. Sunil Perera (Gypsies) makes a guest appearance in the film. Peter ONE, co-produced by Swarna Samarasinghe and Akmal Wickramanayake is scheduled to hit the cinemas this year.